The TED Fellows program recently announced the new group of TED2018 Senior Fellows, and Wilfrid Laurier University’s Professor Shohini Ghose was selected as one of the ten remarkable individuals. TED is a non-profit organization committed to spreading ideas that change attitudes and lives, usually in the form of short, powerful talks that are 18 minutes or less. Ghose was initially selected for the TED Fellows program back in 2014. The program chooses individuals based on exceptional achievement, strength of character and their innovative approach to working on world-changing projects. The TED Fellows program creates a community that enables individuals to connect with global leaders creating a diverse network of artists, scientists, doctors, activists, entrepreneurs and more, who are devoted to making a difference in the world. Along with Ghose, this year’s senior fellows includes: an activist committed to freedom of speech and training young journalists to cover politics and investigate corruption, an astronomer who uses machine learning to discover and study near-Earth asteroids and a research scientist who uses new healthcare technologies to cure and fight disease in Africa. “One thing that brings us all together is the fact that we are all engaged in trying to make the world a better place. It feels like being part of a movement that really can make a change. It is a wonderfully energizing group to be a part of”, said Ghose. Achieving the title TED Senior Fellow assures Ghose an additional two years to engage with the TED Fellows program. Furthermore it entails participation in four TED events and the opportunity to deliver a talk from the main TED stage. “When I first found out I was named Ted Senior Fellow I was thrilled”, Ghose said. “This means that over the next two years I will have even more opportunity to collaborate with other TED fellows and really contribute to the program through my own work as a physicist, but also as an advocate for creating a more diverse and inclusive community in science”. Ghose currently teaches physics and computer science at Wilfrid Laurier University. Her area of expertise lies in the field of quantum information science – the study of how the laws of quantum physics can be harnessed to transform computation and communication, and to develop novel tasks such as teleportation. 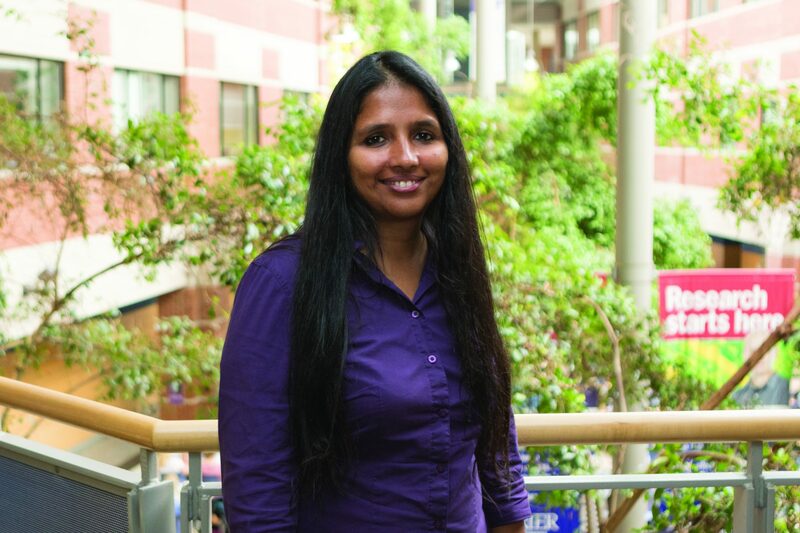 Ghose and her research collaborators made the first-ever movies that directly show atoms “tunnelling” through an impenetrable barrier, and also made the first observations of how chaotic behaviour affects quantum entanglement. “One of my greatest passions is what I currently do with work”, said Ghose. “I have always been driven to try to unravel the mysteries of how the universe works”. Additionally, she is the founding director of Laurier’s Centre for Women in Science, researching and advocating for gender equity and diversity in science. The Centre commemorates and acknowledges contributions of female scientists and supports initiatives that address challenges faced by women in science. She has received numerous awards for her accomplishments and contributions to science, research and education. From making the W Network’s list of “15-awe inspiring Canadian women you need to know” to being named “Rogers Woman of the Year” in 2016, she continues to be a forward-thinking leader, making a transformative impact on society.